Today is 25/7/2008 and it is 7:00 am. Whenever I am in vacation, I make it a point that I should feel free of all the wordly. But as usual I cannot make it. 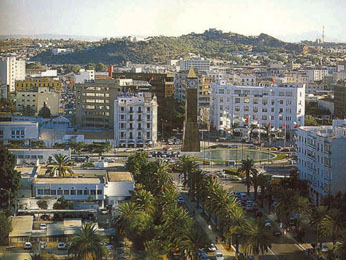 Now when I am on my Tunisia holiday, I am off my bed and experiencing the morning life with a cup of tea in hands. Its indeed a lovely morning. Sometimes, I wonder what would have Tunisia looked like during Roman period. Certainly, must have been wonderful. During my stay in one of the hotels in Tunis, though I did not have much advantage to visit the ancient Roman remains and sites, I made sure to visit the Bardo National Museum. Amazing collection of artefacts from archaeological sites.